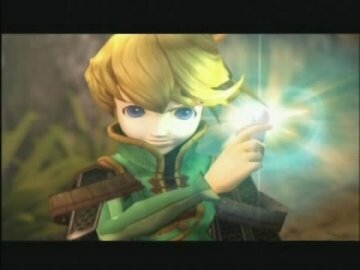 GS: Can you tell us a little about the DS and the Wii Final Fantasy Chronicles projects? AK: "We'll have a release coming out for the Crystal Chronicles for the Wii soon, but in the mean time, of course Final Fantasy Crystal Chronicles for the GameCube was kind of an experiment in multi-player gaming for the Final Fantasy series and the version of the game we're working on for the Wii is again looking to provide a game experience that we haven't been able to in the past in the series, something approaching a real-time kind of gaming." Any thoughts on what that could mean? Tell me what you think. I think what he's really trying to say is that the Final Fantasy: Crystal Chronicles sequel is going to be real-time, just like the predecessor was. "looking to provide a game experience that we haven't been able to in the past in the series, something approaching a real-time kind of gaming." I don't know, it sounds like it could be something different than the real time fighting in the first game. Maybe some sword swinging or fast menu's with the Wii-mote? They want to do something that hasn't been done before in the series, so it has to be something unique with the remote in my opinion. I'm anxious to find out!